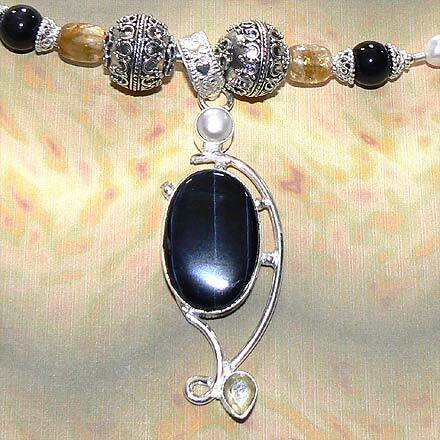 Sterling Silver Bluish-Black Tiger Eye, Citrine and Freshwater Pearl Necklace. See Closeup. 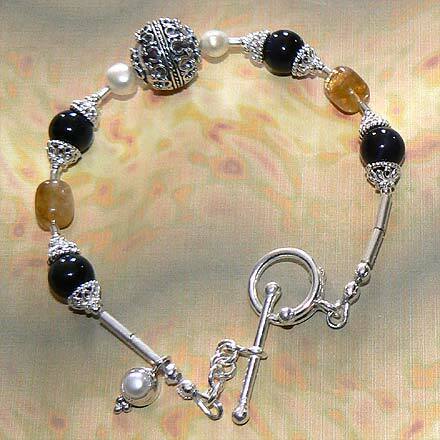 Sterling Silver Bluish-Black Tiger Eye, Citrine and Freshwater Pearl Bracelet. 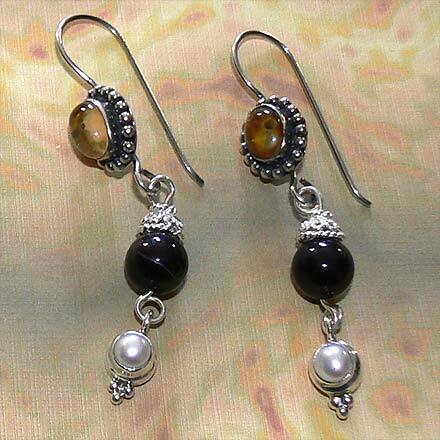 Sterling Silver Bluish-Black Tiger Eye, Citrine and Freshwater Pearl Earrings. 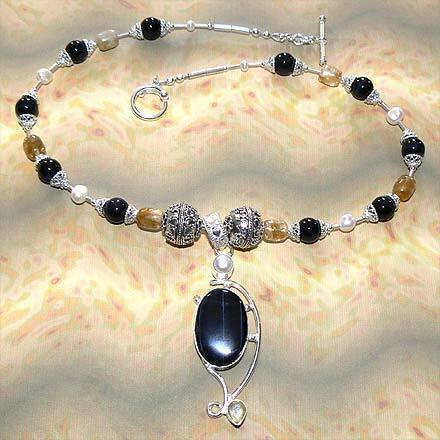 The darkest midnight blue of Tiger Eyes in both the beads and pendant, complemented by golden Citrine and white Freshwater Pearl.